Must-Thai Dishes in the Land of Smiles! 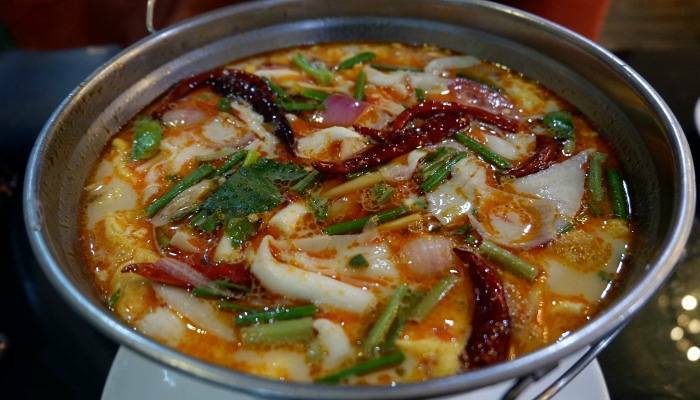 The most famous soup in the whole of Thailand, Tom Yum can be found just about everywhere. Hot and sour, and usually with cooked shrimp in a flavoursome fragrant broth, this bowl of joy is what Thai cooking is all about. Fresh and simple ingredients thrown together with love, that end up making one hell of a dish, and one that should be high on your Thai foodie bucket list. If you’ve been to Thailand, the chances are that you would have seen a strangely named dish staring up at you from many menus. Stir-fried morning glory, also known as Pad Pak Boong, is a hugely popular Thai side dish and one that everyone should try. 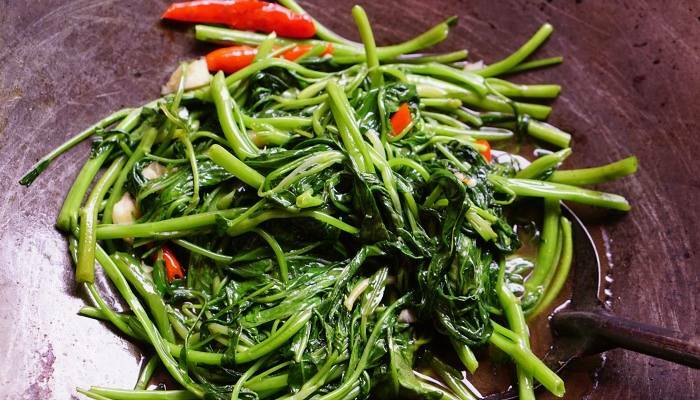 Morning glory is a green leafy vegetable that is found throughout Asia, and when fried with some chilli and garlic and a splash of oyster sauce, it turns into something pretty special. 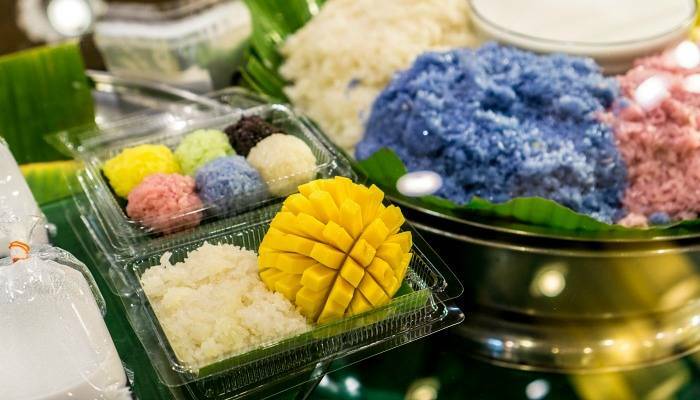 Glutinous sticky rice, topped with sweet, yet somewhat salty coconut milk and served with slices of fresh mango, is most definitely Thailand’s tastiest dessert. You won’t need to search far for a portion of this delicious treat either, with it available pretty much everywhere across this wonderful land. Salty with fish sauce, super spicy with green chillies and fragrant with lemongrass and galangal, the famous green curry really is one to watch out for on a trip to Thailand. Now we’d be lying if we said it didn’t pack a punch, and spice levels really can vary greatly depending on where you get it from. 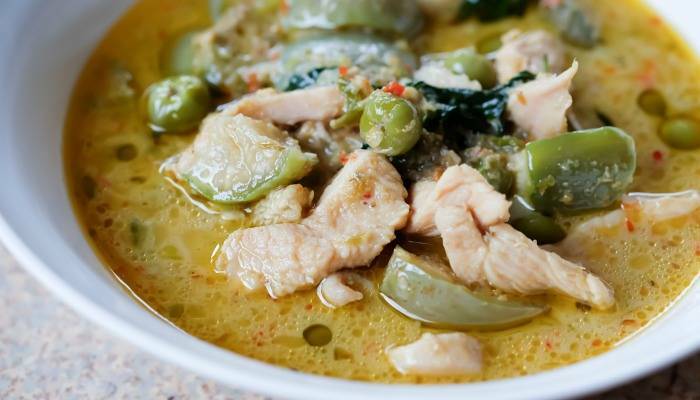 However, when you get a good’un, there’s nothing quite like an authentic Thai green curry. Known by many as the national dish of this beautiful country, pad thai is a firm favourite among tourists and locals alike. 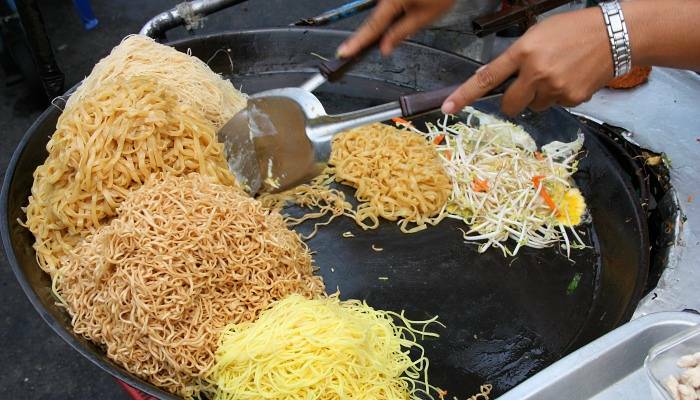 Although believed to have Chinese and Vietnamese heritage, this noodle-filled dish can be found in just about every street food market and restaurant in Thailand. Made in a wok and stir-fried with egg, tofu, dried shrimp and an array of fresh vegetables and plenty of chilli, you can’t leave without trying a pad thai. Throw in some meat or fish too, or ask for a totally veggie version! 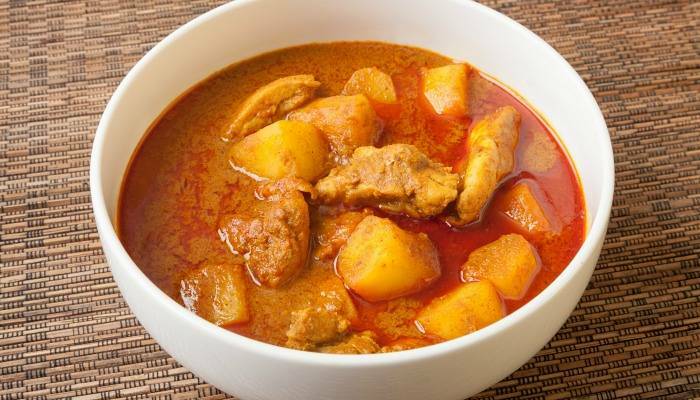 Richer and far more mild than the green curry, massaman is a Thai dish with a huge Persian influence. Spiced with cinnamon, cloves, cumin and star anise, this delicacy is a world away from many of the other traditional dishes you will see on the streets of Thailand. This doesn’t mean that it’s any less tasty though! Mixed with fresh local produce and thick coconut milk, this is, in our opinion, one of the finest meals you’ll find. Originating in the north-eastern part of the Thailand which borders Laos, the som tam salad can now be found everywhere throughout Thailand. Hot, refreshing and super crunchy, it is said to be the world’s best salad by many, and we think we may just agree. 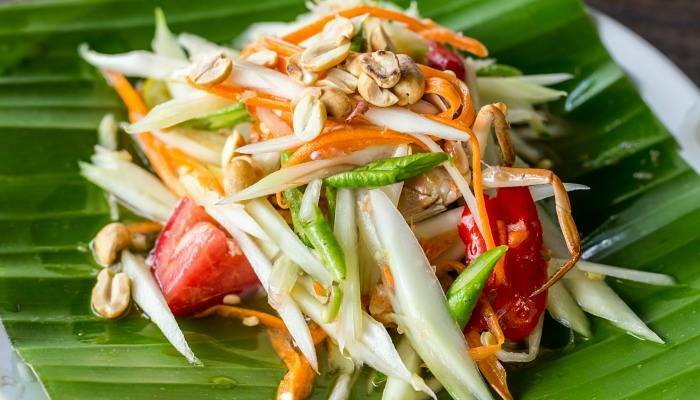 Packed with shredded green papaya and beans, chopped fresh tomatoes and a hell of a lot of chilli, then mixed with dried shrimp, roasted peanuts, fish sauce and a squeeze of lime, it’s no wonder why this dish is so popular!